Transportation Secretary Elaine Chao recently joined Sen. Bill Cassidy (R-La.) to formally announce the award of a $45 million Infrastructure for Rebuilding America grant to the Louisiana Department of Transportation and Development. The grant will be used for the Belle Chasse Bridge and Tunnel Replacement project, which has been on the books in Louisiana for the past couple of years. The Belle Chasse Bridge and Tunnel, both of which are more than 50 years old, stand side by side and carry state Route 23. Southbound traffic travels through the tunnel, while northbound traffic goes over the bridge. According to LADOTD, Route 23 carries more than 33,000 vehicles per day and serves as the primary access point to the coastal county known as Plaquemines Parish. According to Louisiana’s Coastal Protection and Restoration Authority, the parish’s chief economic drivers are navigation and shipping, fisheries, oil and gas. Both the concrete tunnel and the structural steel vertical-lift-span bridge will be replaced with a single, midlevel fixed-span bridge. The new bridge will have four lanes for motorists, plus a lane designated for pedestrians and bicyclists. The new bridge is expected to give the area, which abuts New Orleans, an economic boost by eliminating the delays caused by frequent openings of the current bridge. According to a press release issued by U.S. DOT, the project will improve regional mobility through reduced travel times. “This important project will enhance safety, decrease travel times and improve the quality of life for the people in this area,” Chao said at the announcement event, held at the Belle Chasse Bridge and Tunnel. Besides the $45 million INFRA grant, the replacement project is supported by $26.2 million in federal funds allocated to LADOTD and $12 million in federal funds allocated to the Regional Planning Commission. The remaining funding for the project will come through a public-private partnership. These collaborations make up a key element of the White House’s funding principles unveiled Feb. 12, which would rely significantly on nonfederal funds to reach a $1.5 trillion top line over 10 years. The INFRA program makes $1.5 billion available to support highway and bridge projects nationwide. The Belle Chasse House Bridge and Tunnel Replacement project is one of 26 that received grants during this most recent spate of funding. Award winners were announced in early June. LADOTD’s grant qualifies as a “large project” because the award sum is larger than $25 million. Other large projects awarded during this round of INFRA funding include a $160 million grant that will expand the Interstate 94 North-South Freeway near Milwaukee, a $132 million grant to improve rail connections in the Chicago area and a $65 million grant to widen an 18-mile portion of I-25 in Colorado. 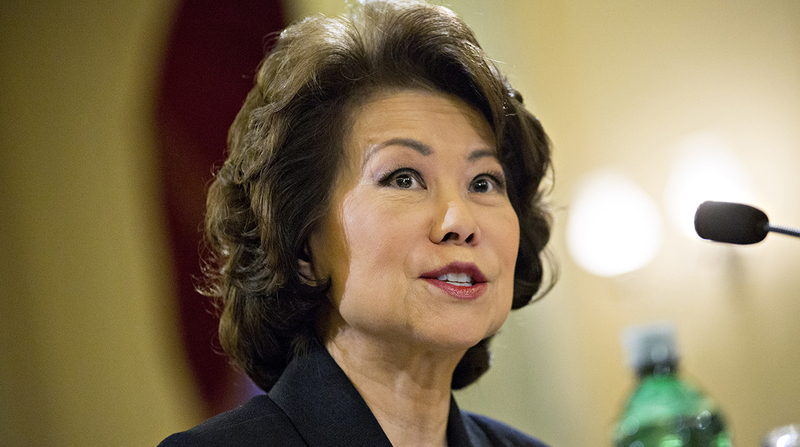 “These INFRA grants will empower states and communities to make significant long-term infrastructure improvements that will shape transportation and mobility for decades to come,” Chao said in a statement when the grants were released.